Now casting Do-Gooders who need a special night of food. The show is looking for nominations and seeking to offer a great night for folks that always seem to Do Good, by way of others. 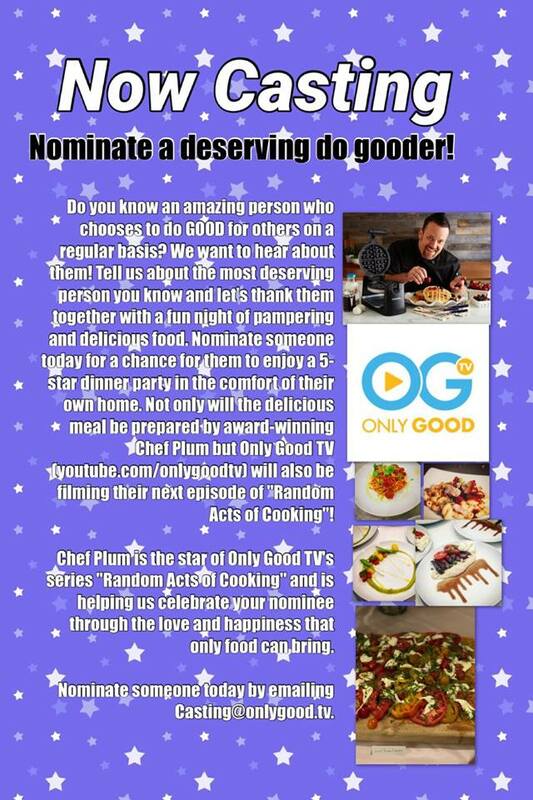 Chef Plum stars in “Random Acts of Cooking” and will be there to celebrate your nominee through the happiness and love that great food can bring. Those wishing to nominate someone that deserves a great, catered dinner party, can check out the casting notice below to get all the details on how to apply for the show.